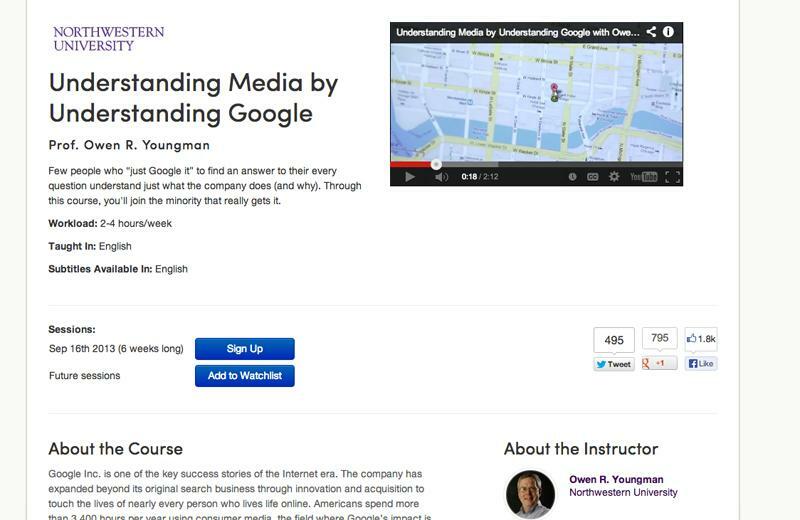 Medill Prof. Owen Youngman teaches a massive open online course on Google. Thousands enrolled in the course. 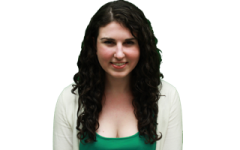 Medill Prof. Owen Youngman always receives a lot of emails just before and after an assignment is due. Because his massive open online course, Understanding Media by Understanding Google, has thousands of students in around the globe, it has resulted in an inundation of emails around the clock. He and his staff of nine former students have handled 12,000 discussion posts in the course’s first two weeks. Such new challenges are par for the course for professors teaching Northwestern’s first three MOOCs and one for-credit Semester Online course. Two more NU for-credit courses will be offered Winter Quarter, continuing the University’s attempt to incorporate a variety of departments in this new form of education. NU is offering Medill Prof. Candy Lee’s Integrated Marketing Communications course this fall as its inaugural Semester Online option. Students at NU and other schools that joined the Semester Online consortium are eligible to take the course. Currently, nine students are enrolled, according to data from the Office of the Provost. In early August, Jake Julia, associate provost for academic initiatives, said the course could accommodate 40 to 60 students. Thirteen NU students are taking Semester Online courses across the consortium this quarter. In the winter, Semester Online will increase the number of courses it offers. Currently, more than 100 students are enrolled across 10 course offerings, according to Semester Online spokeswoman Shirley Chow. The organization announced Tuesday it would offer 19 courses, including two from NU in math and science. McCormick Prof. Michael Peshkin will teach Electronics Out of the Box, where a section of up to 20 students will learn to design and build circuits. Peshkin currently teaches the same course on campus. He has created a tool called “Lightboard,” which allows him to face the audience while writing equations on a board during lecture. Peshkin said he has already used the lecture videos he created for Semester Online for his current on-campus section. Peshkin said the biggest challenge will likely be the discussion sessions for the course. He said the University’s involvement in Semester Online is an attempt to experiment with the model as it evolves. In September, NU’s three MOOC courses launched. They differ from Semester Online courses in that they are not for-credit courses and thousands of students can enroll. “‘It’s easier to enroll in a Coursera course than to create an iTunes account,’” Youngman said, quoting an article he had read. Youngman said of the more than 45,000 who initially enrolled in his course, only about 20,000 actively participate, and at varying levels of intensity. Unlike the Semester Online education courses that encourage student/teacher interaction, MOOCs make that kind of interaction largely impossible. Youngman said his favorite part of teaching the course has been watching students interact with each other on the discussion boards. Youngman said the most challenging aspect of teaching the MOOC is preparing content for non-native English speakers, as the majority of students are not from the United States. Youngman said a “big university effort” has gone into his course and other online education efforts. “It’s not about one professor,” he said.